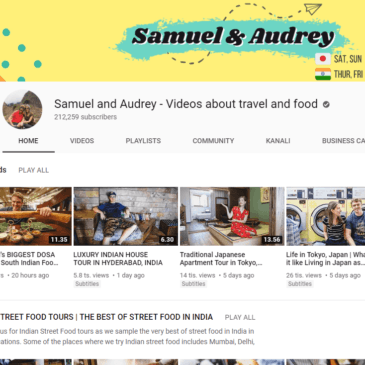 Kristen & Siya is a YouTube channel run by an American couple who travel the world full-time, documenting their journeys as they go. 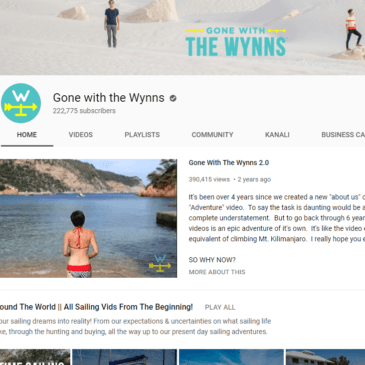 Content includes travel hacks, tips and advice, destination ideas and videos to provide inspiration to set out on your own adventure. 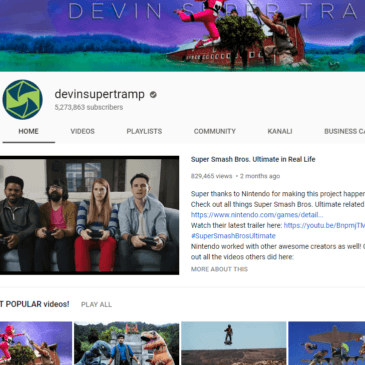 Since setting up the channel in August 2010, they have generated more than 34 million total views and garnered close to 250,000 subscribers. 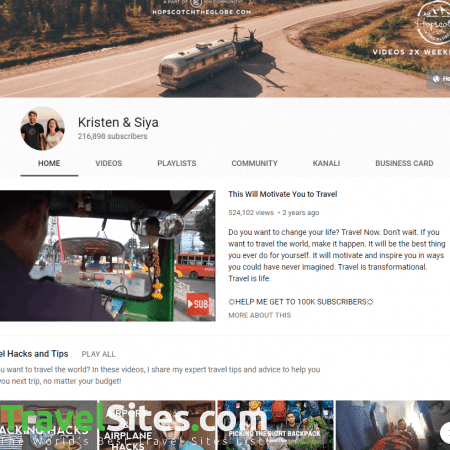 Kristen and Siya’s channel features a range of content, from road trips in Canada to backpacking around Guatemala. 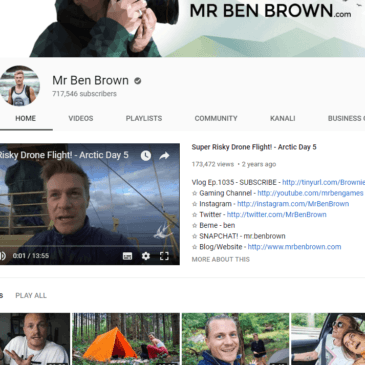 However, one of the most unique aspects of the channel that I have come across is the ‘Pregnancy travel’ section. 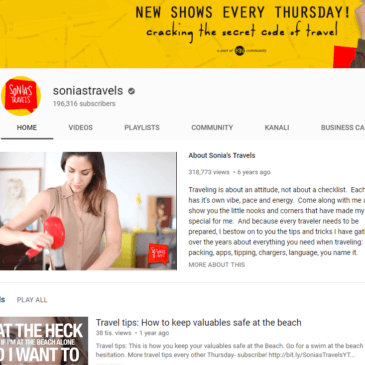 Here, Kristen provides tips for travelling pregnant, such as how to survive long haul flights, and posted a 10-minute Q&A video that answers viewers’ questions on what it’s like to continue visiting places while carrying a baby. 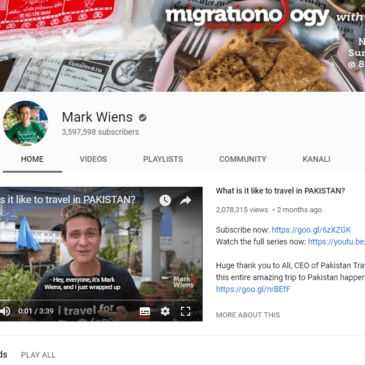 This is fascinating for people who find themselves in a similar situation but don’t want it to stop them exploring the world, setting it apart from other travel vlogs that don’t usually deal with this kind of scenario. 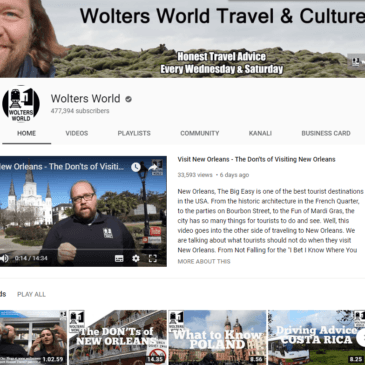 Another interesting aspect of the channel that I think is different from other travel channels is that both Kristen and Siya make their own vlogs that are uploaded, meaning viewers are provided with two different perspectives of each trip. 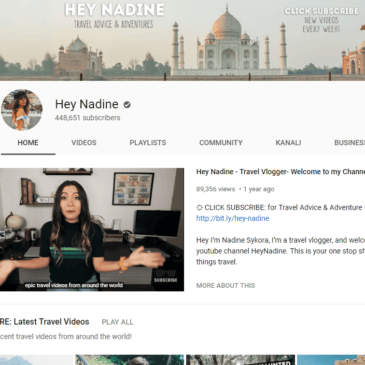 This differs from channels such as Hey Nadine that only offer experiences through the eyes of a woman, which may not appeal to a male audience. Therefore, the fact that Kristen and Siya’s channel features both sets it apart from other YouTubers. However, the couples’ channel is not the best in terms of gaining a wide insight into travelling to lots of different destinations. 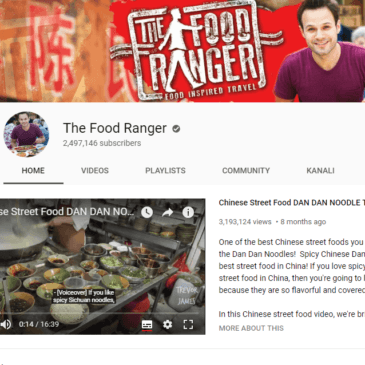 Although they have undoubtedly been to a lot of places, they do not have the range that other channels offer.